The use of drones for various purposes, such as image recording, surveys, scientific studies, surveillance or transport, is spreading rapidly. However, certain legal barriers must be observed for reasons of security, and protection of privacy and personality rights. The Federal Office for Civil Aviation (FOCA) recently adopted more stricter regulations for the use of drones and model aircraft in order to take better account of the security risks. Devices weighing 30 kilograms or more require a permit from BAZL. The safety requirements for operation are also specified within the framework of the permit. Drones and model aircrafts that weigh under 30 kilograms do not require a permit provided that certain conditions are met. Such conditions include, civil liability insurance of at least 1 million Swiss Francs is mandatory for the operation of drones and model aircraft weighing more than 500 grams.The most important regulation is that drones and model aircraft may only be operated without a permit in visual flight. In other words, the pilot must have direct eye contact with the aircraft at all times. The use of technical aids, e.g. binoculars or video glasses that enhance natural vision, is only permissible with a permit unless, apart from the pilot who is using such an aid, there is another person present at the same location who ensures direct eye contact and has the option of assuming corrective control of the flight at any time. Flying over crowds of people is prohibited and a safety distance of 100 meters must be observed. There are also restrictions on the use of drones and model aircraft in the vicinity of airfields. In particular, they must be operated no closer than a minimum distance of 5 kilometers from airstrips. Apart from safety regulations, criminal legislation must also be observed. In principle, the use of drones to take photographs or make video recordings constitutes a breach of secrecy or privacy by recording devices if the recordings are made at locations that are not part of the public domain. For example, anyone who uses a drone to film their neighbors in their gardens from the air is liable to prosecution of the people concerned have not given their consent. The act will be prosecuted upon request and is punishable by a term of imprisonment of up to 3 years or a fine. The recording of people and their personal surroundings and objects assignable to them is also subject to data protection law. Incidentally, the same also already applies to mere observation without the possibility of making recordings. Whether the people concerned are in public or in private locations is irrelevant. For any handling of personal data, data protection law requires justification in the form of either the consent of the person concerned, the existence of overriding private or public interests or statutory authorization. the only exception is if an individual processes data for personal use and does not forward it to outsiders. Such processing is not subject to data protection and is also conceivable with the use of drones. For example, if someone only looks at their images from drone flights, like a photo album, privately and with people from thier close personal circle, without passing them on beyond these narrow confines. Even if there are grounds for justification, additional principles of data processing must be observed. Thus, the people concerned must be informed about the nature and timing of drone use as far as possible, even if their consent is not necessary, for example in situations where the use of drones is justified by an overriding public interest, so that they can avoid being recorded if they want to. For example, if surveys of a building are to be made using a drone, the residents or users must be informed accordingly. Furthermore, care must be taken that the field of vision of recording devices is kept as narrow as possible as to ensure that only what is required for the purpose is recorded. The Swiss Federal Data Protection Commissioner (FDPC) has published explanations on its website of these and other principles, in particular with regards to the use and storage of images and videos resulting from the use of drones. 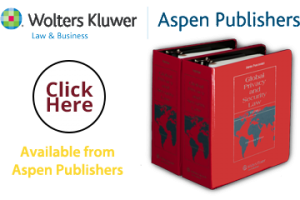 The ultimate reference for Global Privacy and Security Law, this book analyzes the privacy and data protection laws, usages, and trends of 66 countries on all continents. © Global Privacy Book 2019.